New identity for small animal hospital. General practices face increasing competition as a result of industry consolidation and from the growing number of nonprofit clinics. National chains are making it easy for pet families to connect with them as a result of consistent branding and locations in retail settings. Nonprofit clinics and pop-ups offer a widening range of services at prices that conventional clinics cannot come close to. For small animal clinics to survive and thrive, they must embrace becoming a CLIENT-CENTERED or CLIENT-CENTRIC practice. This type of practice puts clients front and center of all they do. a veterinarian-centered practice to a client-centered practice. Listening to pet owners is the first step to becoming client-centered. Our work with small animal practices includes helping them understand pet owner needs and concerns along with developing FOCUSED CLIENT OUTREACH that recognizes the differences among pet owner segments and niches. Specialty and emergency practices rely on referrals from general practices. Many times, practices are unaware of where referring practices are sending pet owners for different types of pet health issues. We work with specialty and emergency practices to help determine the DYNAMICS of local referrals and HOW THEIR PRACTICE IS PERCEIVED BY REFERRING HOSPITALS AS COMPARED TO THE COMPETITION. This helps hospitals better target their marketing and sales efforts. We also work with hospitals to develop MEANINGFUL OUTREACH to help them stay top of mind among veterinarians and changing hospital staff. An increasing number of veterinary practices are adding “hospice” to their list of services. However, it’s important that true hospice and palliative care services are being provided. 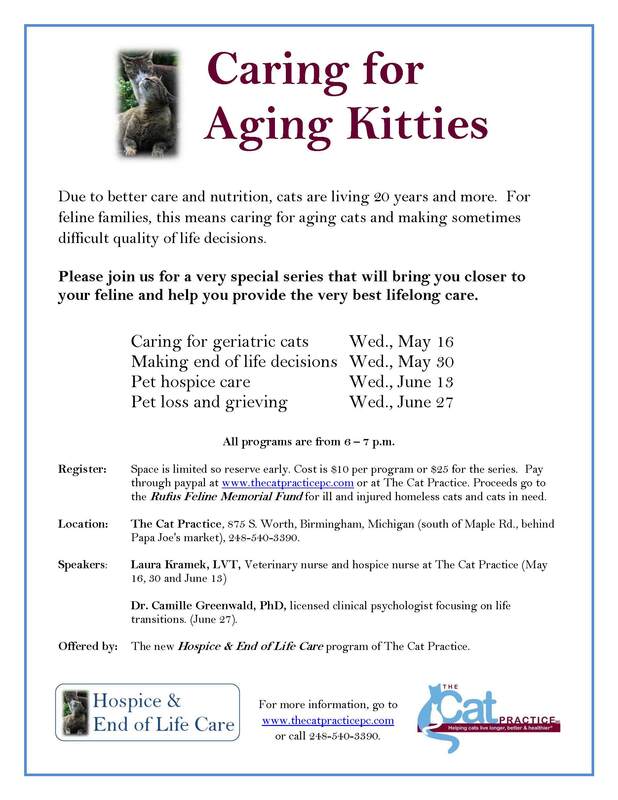 Practices that embrace hospice and end-of-life care follow strict protocols and assign qualified staff to care for geriatric and terminally-ill pets. If you are planning hospice services for your practice, it's important that they are based in practices and procedures that exemplify true hospice and comfort care. We helped develop the first veterinary hospice in Michigan and assisted in clarifying staff roles and internal procedures. We also advised on hospice services pricing and developed client informational pieces and website content, along with officially launching the hospice through a series of seminars that gained extensive media coverage. Pet retailers are looking for meaningful ways to connect with pet owners beyond simply being a source of pet food and toys. Our work with Pet Supplies Plus stores focuses on delivering added value to pet owners in the form of in-store workshops, an informational “how to shop for your pet” blog, in store holiday promotions, large-scale adoption events and more. We also advised on the creation of the “Kitty City” open-air adoption centers that significantly boosted the number of cats being adopted. Events like pet expos rely on saturating the local marketplace with event specifics to appeal to different pet owner segments. We have successfully publicized large regional pet expos gaining significant media coverage throughout the area. 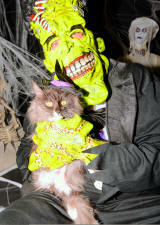 Halloween event for Pet Supplies Plus stores.